Since this current season, Australis started sailing on two new routes that cover novel expeditions. The first one, called Wild Patagonia, visits Brookes Glacier and Ainsworth Bay on the first excursion day. 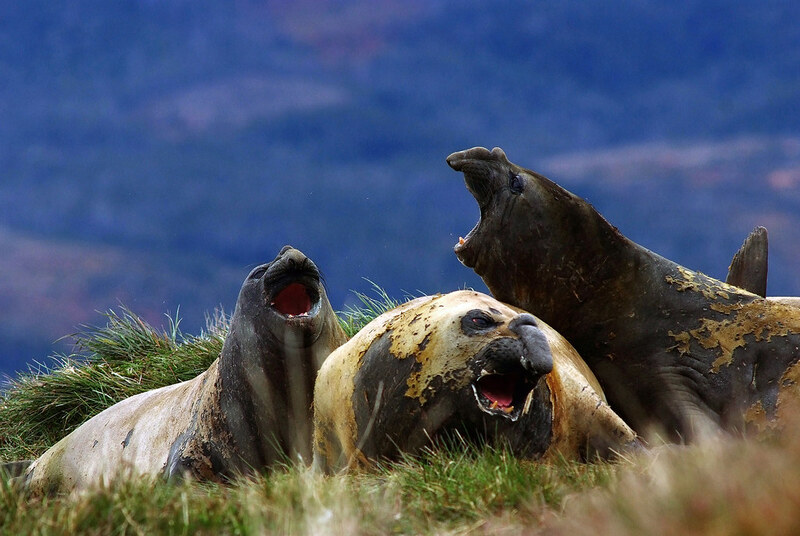 The second day we disembark at Almirantazgo Bay where we see a colony of elephant seals on the way to a waterfall, and in the afternoon we go to Parry Fjord where we see three glaciers and a group of leopard seals, on board our zodiac boats. On the last day we visit Magdalena Island, where we watch a colony of more than 60,000 couples of Magellan penguins. The second route, called End of the World, starting from Ushuaia, has excursions to Garibaldi and Pia Glaciers on the first excursion day. Next morning an early wake up to step on Cape Horn, last piece of land before Antarctica, and in the afternoon an expedition in Wulaia Bay, settlement of Yamana aboriginals, and first place where Darwin stopped on his trip around Patagonia. Visit www.australis.com for more info. Book now for next season, between September and April.